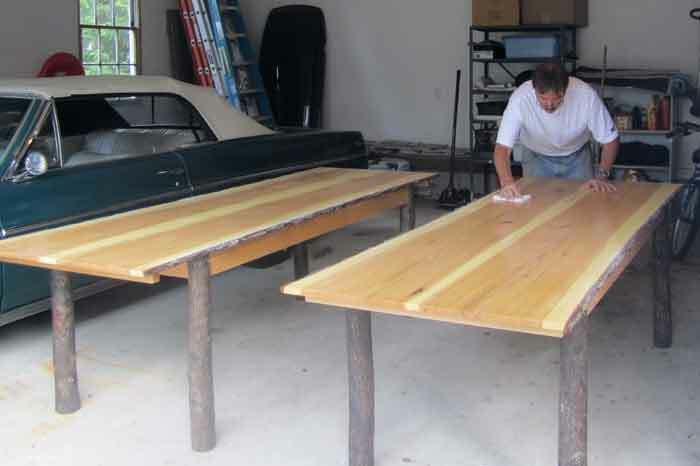 The tops of these two dining tables are made of flitch cut hickory boards with “live” edges. 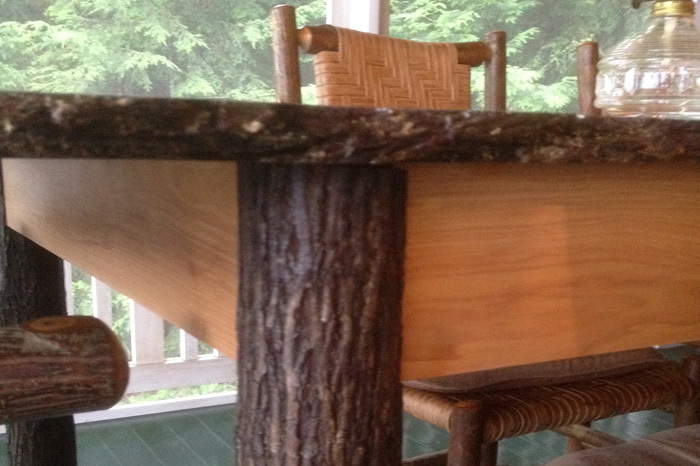 The hickory log was cut and milled by a local sawyer in Hopkinton. The wood was air-dried for two years before construction could begin. 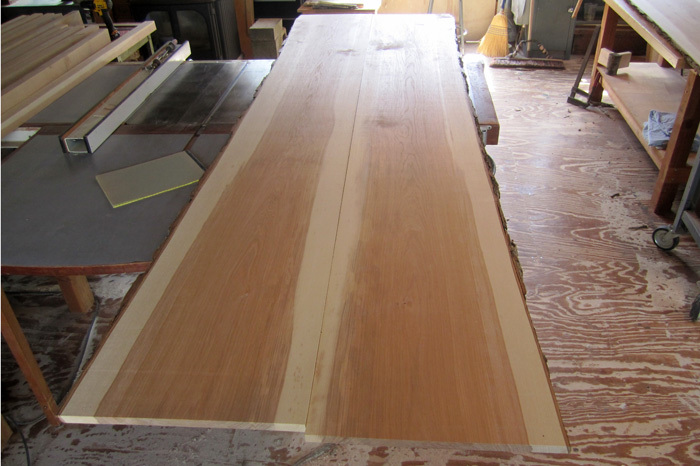 The legs are kiln dried, 3” diameter, hickory saplings. 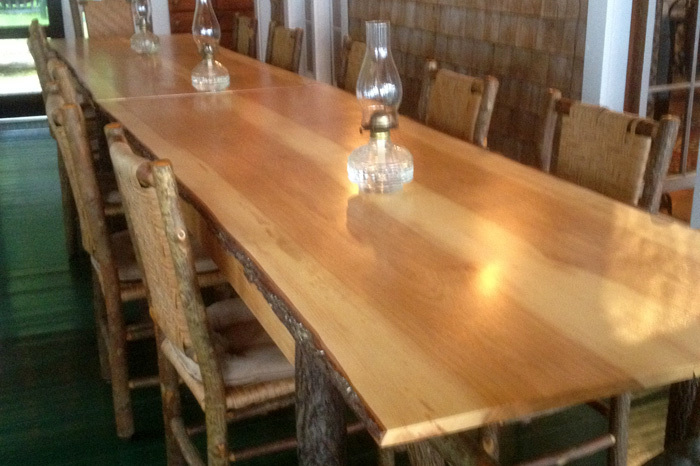 The client wanted a pair of “rustic” tables that could be placed end to end, and seat 12-16 people. 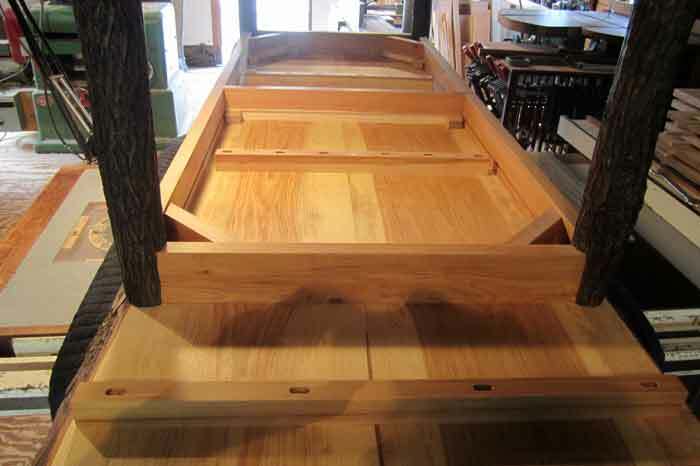 A long overhang reinforced with slotted “strong-backs” on the ends make this possible. 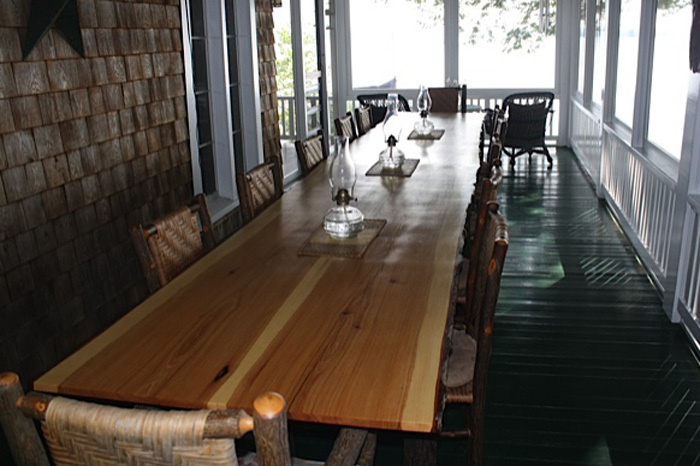 The tables reside on a porch in northern Maine which is why the finish is spar varnish.